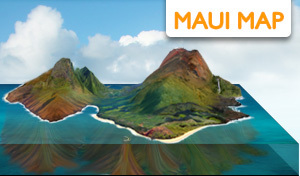 Brah, your Browser Does Not Support This Video! 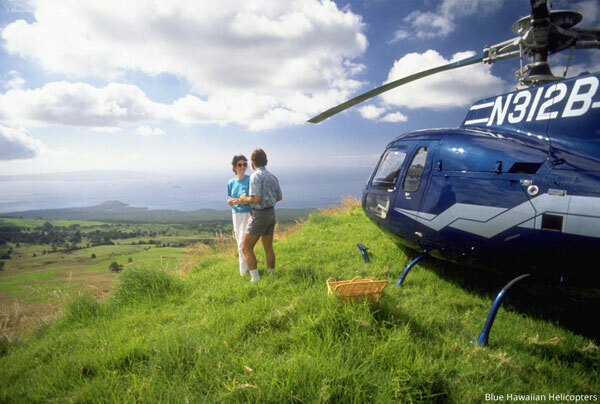 Maui helicopter tours let you experience countless hidden secrets of Maui and Molokai, which can only be seen from the air. 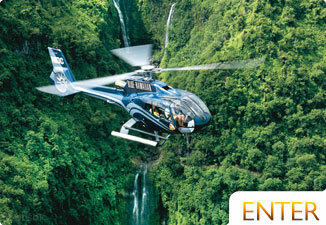 Waterfalls, sea cliffs, lush valleys, rainforest, and tropical coastlines await you. 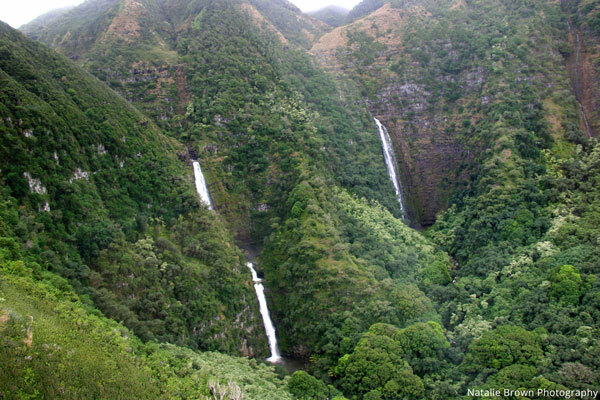 Travel through knife-edged ridges, through valley after valley, and hover next to majestic walls of waterfalls. 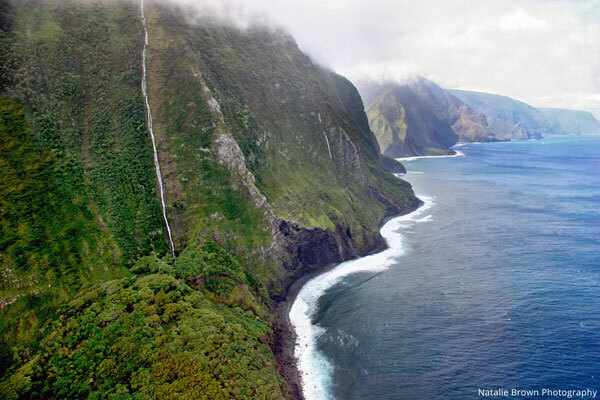 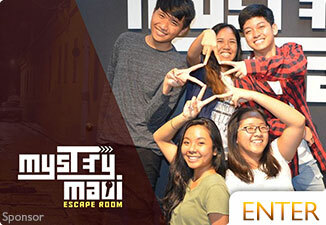 Enjoy the magnificent waterfalls and valleys of west Maui, then travel across the channel to see the World's highest sea cliffs and Hawaii's tallest waterfalls spilling over them into the ocean. 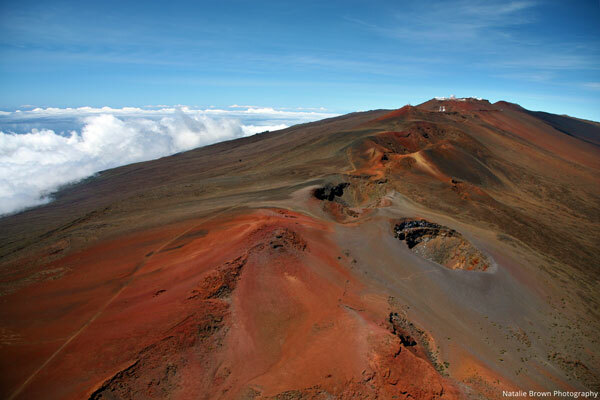 Fly above the clouds along Haleakala Crater, through Hana (the largest rainforest in the US), and see hundreds of gushing waterfalls. 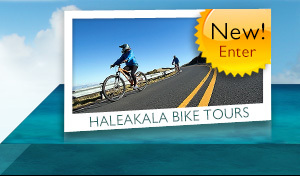 See the best of both sides of the island by visiting Hana (the largest rainforest in the US), towering waterfalls in the West Maui Mountains, Haleakala Crater, and gorgeous coastlines. 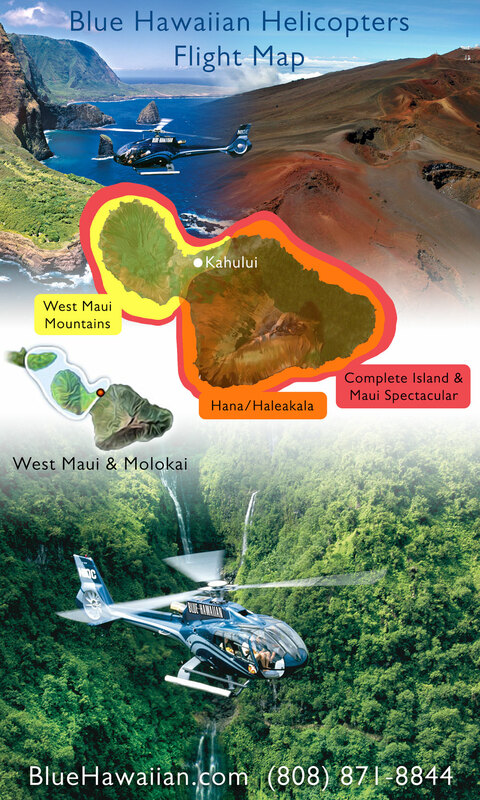 This flight gives you some of the best parts of both the West Maui Mountain helicopter tour and the Hana/Haleakala tour along with a bonus! 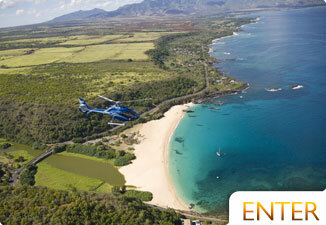 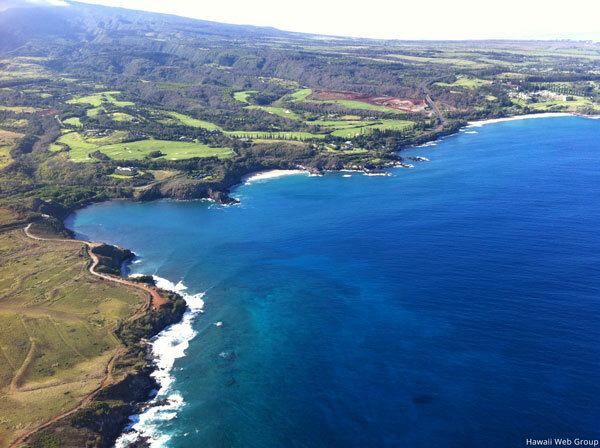 You will land in a private location at Ulupalakua for incredible views. 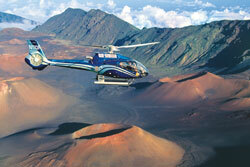 Blue Hawaiian Helicopters have many different tours and great pilot/guides. 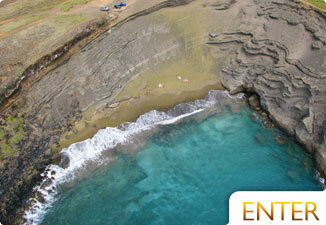 Give them a call today at (808) 871-8844. 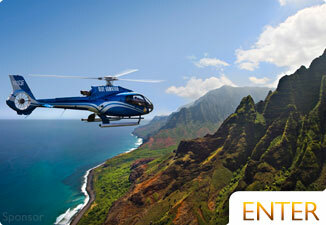 Below we've outlined the areas you can reach when flying specific Maui helicopter tours with Blue Hawaiian Helicopters.